I would like to thank the people at Missiko.com who gave me a chance to try out the HANA Professional Flat Iron 1'- Pink Edition. 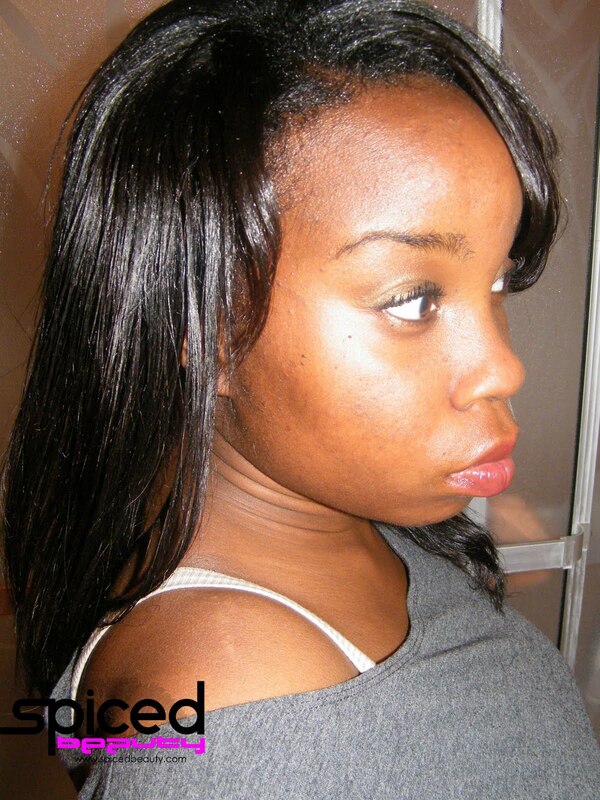 Missiko.com is the place to go to get flat irons, hair straighteners & professional salon styling tools. You can select a straightener from their CHI Flat Iron Section, FHI Flat Iron Section or from any of their other flat iron brands to keep you looking good and feeling fabulous. From brands like Hana Salon and Chi Flat Iron they have assembled a product selection that appeals to the most discriminating stylists at low prices made possible by their immense volume. Our Best Flat Iron page is a great place to begin your search for the flat iron that best matches your hair texture and styling needs. I love this Flat Iron!! I was unsure if this flat iron would work for my hair type, but it works and I am extremely impressed! Let me start off my saying.. I have never had a proper flat iron before. Shocking.. I know. This flat iron came in a fab Tin with a Travel Pouch, Shine Shield, Heat proof pouch, Heat Proof Silicone Mat & alot of other great goodies! Since I was able to set the temperature myself straightening my whole head didn't take long at all. The ceramic plates didn't pull my hair while I was straightening or curling. 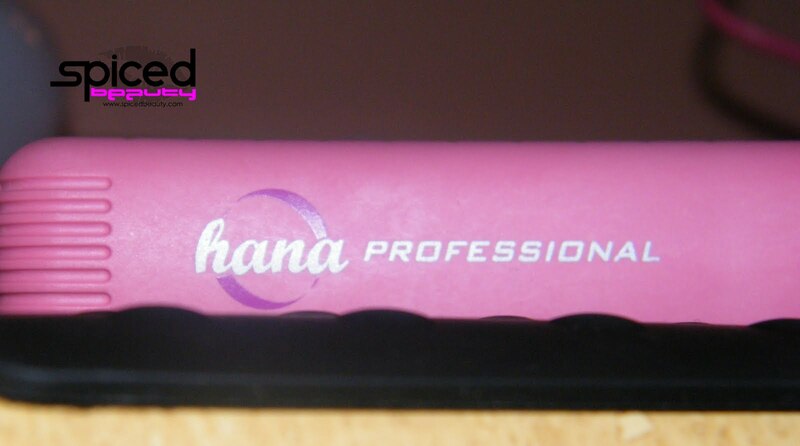 Actually it was easier to curl using Hana than my regular curler because of the Tangle-Free Salon Quality Cord. It swivels 360°!!! The Hana Shine Shield was amazing! Suitable for every hair type. ShineShield is a thermal serum that can be used as a leave-in conditioner - lightweight and never greasy, it protects and strengthens hair whether you use it with a flat iron, hair dryer or alone. ShineShield contains the natural magic of Jojoba oil for its superb qualities of deep moisturization, fast absorption into hair follicles and scalp, and unparalleled shimmer & shine. 6 oz. I love how shiny & healthy it looks! 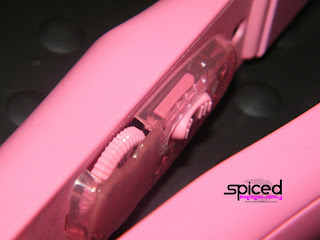 Missiko.com is giving away a HANA Professional Flat Iron 1' to one of my Spiced Beauty Followers! "Why do you need this flat iron?" Answering the question is 1 entry. I am following Misikko and you on twitter. I tweeted the giveaway as well. Aaaaannnndddd... I joined Misikko's newsletter! Hurray! I forgot to include my e-mail address: LaisaC03@yahoo.com! Thanks! i'm a spiced beauty follower via GFC! 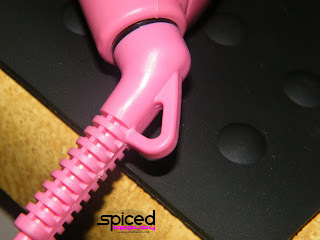 I also follow Misikko & JennMUA on Twitter and tweet the following "Win a HANA Professional Flat Iron 1" in Pink from @Misikko & www.spicedbeauty.com"
And I joined Misikko Newsletter!! I don't want frizzies and I want shiny hair! And a straightener that curls..and it's PINK! I'm signed up for newsletter! I don't currently own a flat iron. If I need to flat iron my hair I have to borrow my sisters. Next year when I go off to college, I won't have access to her flat iron so it would be wonderful to have my own. • I am a follower of your blog. • I follow Misikko & JennMUA on Twitter and I tweeted "Win a HANA Professional Flat Iron 1" in Pink from @Misikko @JennMUA www.spicedbeauty.com". • I blogged about this contest at http://maegal.blogspot.com . • I joined the Misikko Newsletter. I follow Misikko & JennMUA on Twitter and I tweeted about the giveaway! My Twitter username is GabyFauchon. I am Following and tweeted!! Why do I need this flat iron? Because I enjoy to shower before I sleep, but I sadly wake up with poofy, dented hair! I need a flat iron because I have never owned one and I really want one!! I have naturally wavy hair and I usually have to blow dry it to get it straight and it takes forever! I'm following Misikko & you on Twitter & tweeted. I so need this, i have crazy ugly fizzy wavy hair that needs to be straightened every day. I want to try this flat iron out! I've been using my Chi for a while, and I'm getting tired of it! Lol. I'm in need of a new straighter! I would love this flat iron because the one I have is not the modern type its the huge H.o.F which I bought from Zellers. It doesn't do the task of the other new flat irons on the market, so it would be nice to own a brand that I've never heard of an become a supporter. I would really like this flat iron because I have super thick and fairly long hair that flares. Also, I would really like to replace my crappy conair flat iron that I've been using for over 5 years (3 inch.. so outdated!!) that should be in the trash and not on my hair! I would love this flat iron because I have frizzy hair and it would help to calm the frizziness and leave my hair silky and smooth. I NEED this flat iron because the one I currently own is not 100% ceramic and it snags my hair! I am following your blog through AIM! I need this flat iron because the one I have now doesn't give me that sleek look I want. I had to go out and buy a cheap one. My puppy chewed through my last (good) flat iron a couple of weeks ago and since then everyday seems to be a bad hairday! 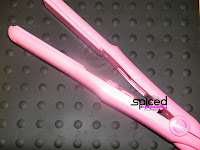 So i need this straightner simply because my hair is nappy, and it takes forever and a year to straighten this bad boy. it would cut down cost and electricity at the same time (i hope).